By definition, any policy of "quantitative easing" involves the expansion of bank reserves (by outright purchases of securities) and ultimately the monetary base. Neither has been expanded by the Fed in 2012. 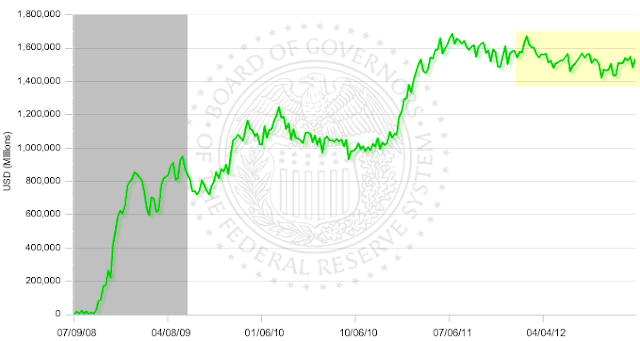 Clearly, given the latest announcement by the Fed (see discussion), 2013 should see both measures spike sharply. 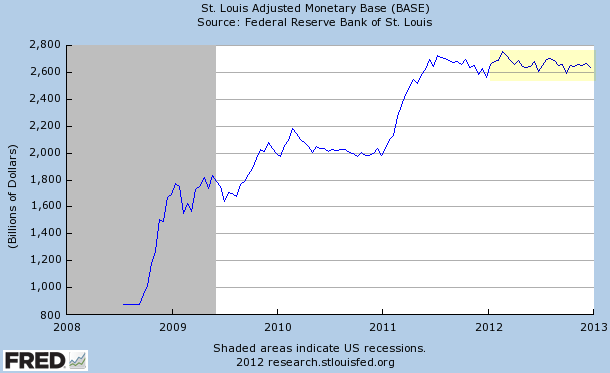 But there has been no "money printing" in 2012.